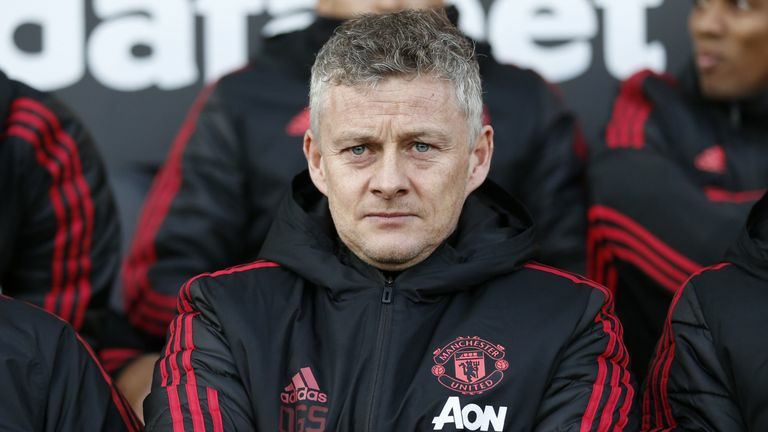 Wes Brown believes Ole Gunnar Solskjaer deserves to be made Manchester United manager on a full-time basis at the end of the season. Soslkjaer has made an unbeaten start as United caretaker manager, winning 10 of his 11 games and taking the club into the top four, having been 11 points adrift when he replaced Jose Mourinho in December. Brown, who spent 11 years with Solskjaer as his team-mate at United, feels the Norwegian is better suited to the club than his predecessors. "It's not surprised me [his impact]. I think the other managers we have had in the last six or seven weren't the right fit," Brown told Sky Sports News. "Ole will be here until the end of the season, I hope that will be longer. But I think at this stage he has done an absolutely fantastic job and I don't think anyone else could've done the same. "He definitely puts himself up near the top of the pile. I hope he does get it, but I'm sure it is still a long way away from choosing the next manager. "Every Manchester United fan didn't expect it to go the way it has gone, and everyone is delighted about it." Wes Brown was speaking on behalf of the Manchester United Foundation at a special screening of 'The Kid Who Would Be King', which is in cinemas from February 15.